The College admitted 938 early applicants to the Class of 2021 Tuesday, representing 14.5 percent of its 6,473 applicants for early admission and a five percent increase in early applicants compared to last year. This year’s acceptance rate for early applicants is the lowest since the the Admissions Office reinstated its early admissions program in 2011. The increase in early applicants follows a trend that has occurred each year since the nonbinding early action program returned, according to the Dean of Admissions and Financial Aid William R. Fitzsimmons ’67. 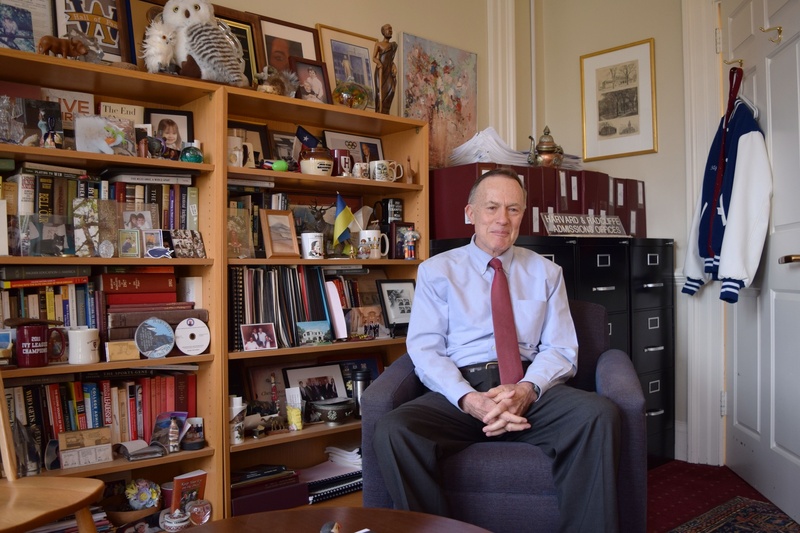 Reflecting on the trend in an interview Tuesday, Fitzsimmons said admissions officers “also worry that too much of an emphasis on early admission” may pressure students into making hasty college decisions. “We don’t know where all this will go. We are hoping at Harvard that we may be somewhat leveling off, we hope, to the extent that that would encourage people to make lengthy thoughtful college choices,” Fitzsimmons said, emphasizing that for many prospective students it is advantageous to apply later because they can include more activities in their applications. In comparison, the College accepted 5.2 percent of applicants to the Class of 2020’s regular admissions pool, which included more than 39,000 applicants. 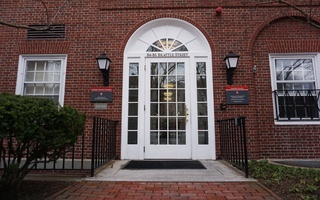 The Class of 2021 is the first group of students at the College who would be affected by Harvard’s new policy penalizing members of unrecognized single-gender social organizations, such as final clubs, fraternities, and sororities. While Fitzsimmons said diversity of the pool of early applicants has generally increased over the past several years, the demographics of the Class of 2021’s students admitted early vary little from last year. Of the students admitted by the College, 12.6 percent were African American applicants this year, up three percent from the Class of 2020. The percentage of admitted Asian American applicants decreased slightly, with 21.7 percent admitted for the Class of 2021 compared to 24.1 percent last year. Latino students comprise 8.8 percent of the admitted pool compared to 9.5 percent from last year, and Native Americans and Native Hawaiians represent 1.1 percent, down from 1.6 percent. The percentage of women increased slightly from last year, with women representing 48 percent of the admitted students compared to 47.4 percent from the Class of 2020. “It does appear, say relative to the time when we gave up early admission, that there is greater ethnic and greater economic diversity in early pools these days, and therefore, in the admitted pool,” Fitzsimmons said. The geographic distribution of students has remained primarily constant, as well, with a slight increase in students from the Midwest and a smaller percentage from southern and western states compared to last year. The percentage of first-generation students admitted early is slightly higher than last year, representing 8.7 percent of the admitted class compared to 8.2 percent from the Class of 2020. The Admissions Office continued to prioritize recruitment of first-generation student, according to Fitzsimmons. This admissions cycle saw several application changes, including the new Coalition application as a possible platform through which students could apply to Harvard, in addition to a modified SAT exam, which went into effect in March. 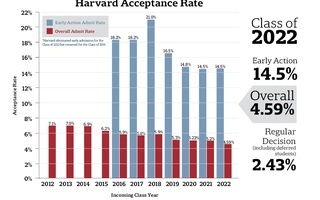 According to Fitzsimmons, the vast majority of early applicants to Harvard used the Common Application, with only 39 submitting their applications through the Coalition application. Fitzsimmons was not surprised that few students chose the Coalition application because it is so new. He also said that it was still too soon for students to take full advantage of the Coalition’s defining feature, a “locker” where students can upload supplemental materials throughout the entirety of high school not just senior year. The record number of early applicants since the reinstatement of the program in 2011 comes after a string of controversial events at the College, including the 22-day strike of Harvard’s dining services workers, reviews into sexually explicit reports on women that the College’s men’s soccer and cross country teams produced in past years, and continued scrutiny of Harvard’s policy on unrecognized single-gender social organizations. 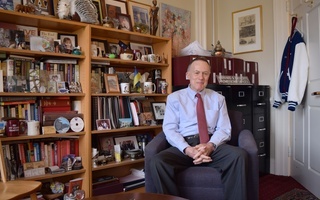 Fitzsimmons believes, however, that prospective students will instead focus on Harvard’s positive features in the long term when choosing where to attend. Students applying for regular decision have until Jan. 1 to submit their applications. Decisions will be released to regular decision applicants on March 30, and all admitted students have until May 1 to reply to the College. —Staff writer Brittany N. Ellis can be reached at bellis@thecrimson.com. Follow her on Twitter @Britt_Ellis10.